jbs inspiration: Our May Customer Spotlight is on Alexa Gill! Our customer spotlight winner this month is Alexa Gill aka Curlywiggles! 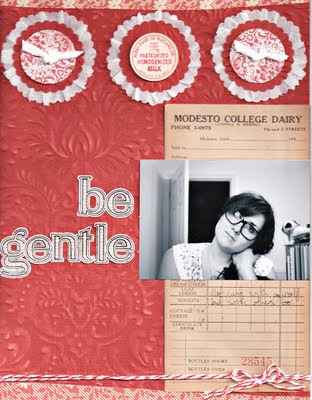 We first met Alexa at the "Be Our Guest Crop" where she completed many of our challenges and posted them in our customer gallery. What a charming style she has! This week we found her lovely work with JBS posted on Facebook. 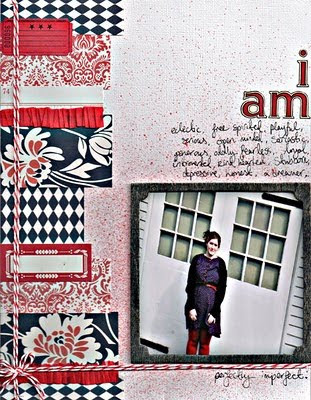 This layout was inspired by a challenge in Jenni's current class with Big Picture Classes. 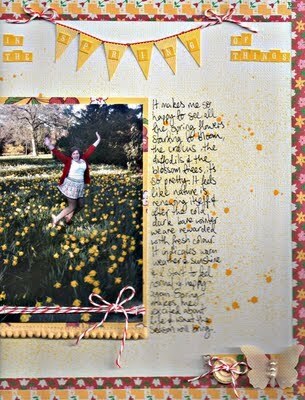 Of course, if you check out her blog, you will find lots more treasures like the delightful spring layout below. Thanks for sharing your inspiration with us Alexa! Email me at doris.sander@gmail.com and I'll get your $20 gift card sent! I remembering seeing Alexa's layouts at the crop and just being blown away. Her pages are so bold and energetic! yea Alexa! love your layouts!